The Jewish Week reports that as Girl Scouts mark their centennial, the Jewish community in Savannah, Ga. — where Juliette Gordon Low founded the Girl Scouts in 1912 — is celebrating their community’s involvement from the very beginning. Three troop leaders in the Scouts’ first year were members of Savannah’s Congregation Mickve Israel, the third-oldest synagogue in the United States. 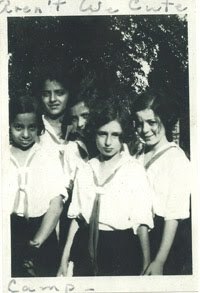 One of them, Leonora Amram, even served on the first Girl Scout Council, and another, Mildred Guckenheimer, later became its secretary. Congregation Mickve Israel last month unveiled a yearlong exhibit about Girl Scouting that stresses the shared values of Judaism and scouting. And this weekend its members are running tours and a scavenger hunt, and providing an opportunity for girls to receive a “Shalom Y’All” Mickve Israel Girl Scout patch complete with the synagogue’s crest. Anna Maria Chávez, CEO of Girl Scouts of the USA, is set to attend a special Sunday service at Congregation Mickve Israel, followed by a community reception at the synagogue. The synagogue is located just a few blocks from the Girl Scouts First Headquarters and the Girl Scouts Birthplace. Although none of the first Girl Scouts are still alive, several women who were Girl Scouts in the 1920s and 1930s are expected to be in Savannah for this weekend’s celebrations.